The Institution of Engineering and Technology (IET) is the largest multidisciplinary professional engineering institution in the world. The IET was formed in 2006 from two separate institutions: the Institution of Electrical Engineers (IEE), dating back to 1871, and the Institution of Incorporated Engineers (IIE) dating back to 1884. Its worldwide membership is currently in excess of 153,000. The IET's main offices are in Savoy Place in London, England and at Michael Faraday House in Stevenage, England. In the United Kingdom, the IET has the authority to establish professional registration for the titles of Chartered Engineer, Incorporated Engineer, Engineering Technician, and ICT Technician, as a licensed member institution of the Engineering Council. The IET is registered as a charity in England and Wales, and in Scotland. 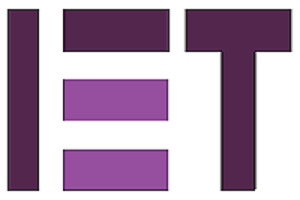 The IET has a journals publishing programme, totalling 24 titles such as IET Software as of March 2012 (with the addition of IET Biometrics and IET Networks). The journals contain both original and review-oriented papers relating to various disciplines in electrical, electronics, computing, control, biomedical and communications technologies. Electronics Letters is a peer-reviewed rapid-communication journal, which publishes short original research papers every two weeks. Its scope covers developments in all electronic and electrical engineering related fields. Also available to Electronics Letters subscribers are something called the Insight Letters. Micro & Nano Letters, first published in 2006, specialises in the rapid online publication of short research papers concentrating on advances in miniature and ultraminiature structures and systems that have at least one dimension ranging from a few tens of micrometres to a few nanometres. It offers a rapid route for international dissemination of research findings generated by researchers from the micro and nano communities.